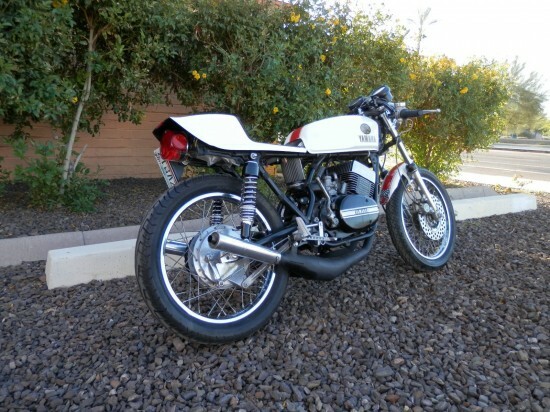 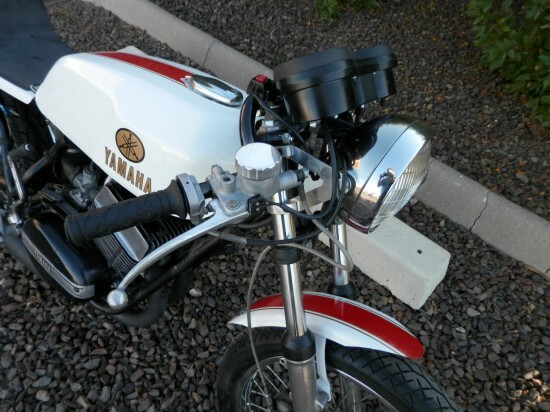 Yamaha’s RD350 doesn’t feature on this site very often and, in spite of it’s small displacement, the little two-stroke is most definitely a sportbike… Chalk it up to my relative ignorance about the little smokers from this plebeian brand. 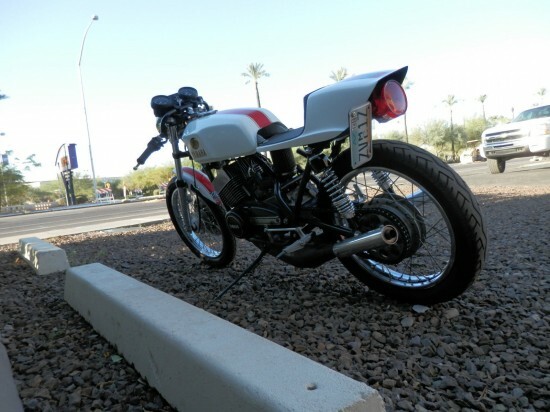 In spite of my frequent snark about Japanese streetbikes of this era being all motor and scary in the corners, the RD was pretty famous for being a fiend in the canyons and the scourge of club-level racing: potent brakes brought things to a halt quickly and the frame, while made of heavier tubing than the TZ racebike’s, featured the same geometry for cornering prowess on a budget. 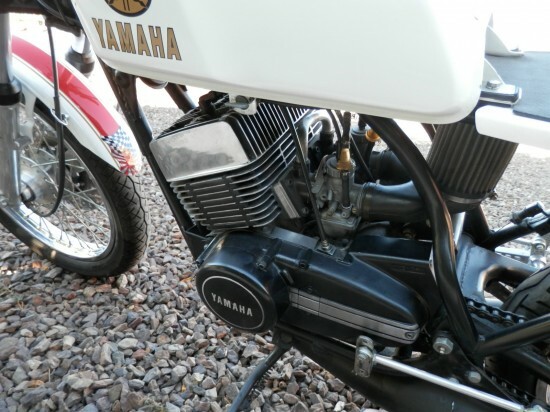 The bike was powered by a reliable, air-cooled parallel twin and a six-speed gearbox to make the best of the relatively slim powerband and lubrication was provided by automatic oil-injection, removing the need to fuss about with premix. 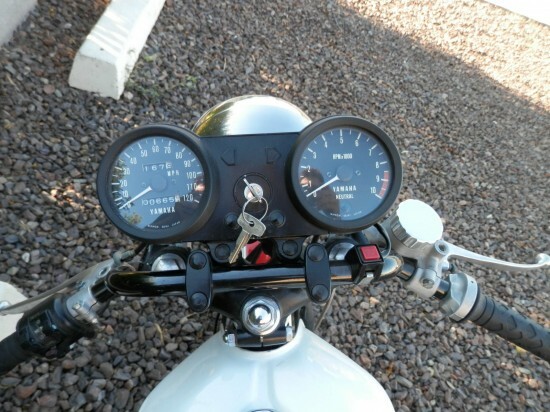 The bike is holding steady at about $3,500 with very little time left, so if you’re looking for something small and fun to rip around the canyons on, this could be your ride!